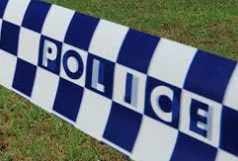 Police carried out an exhaustive search of the Thirroul beach area in darkness early this week, following reports a paddle boarder could possibly have been swept out to sea. A local resident reported seeing the paddle boarder some two hundred meters offshore, before losing sight of them. Officers with torches swept the beach and car parks for signs someone may not have returned from the water, but failed to find anything. Nobody has been reported missing.